EDITED TO ADD: THERE’S A GREAT CONVERSATION GOING ON IN THE COMMENTS! CHECK IT OUT! Today on WFW, my friend, author Kathryn Craft, poses a question that has attracted a lot of attention in recent writerly media. IS IT IMPORTANT TO HAVE LIKABLE CHARACTERS? Even moreso, in women’s fiction (because that’s why we’re here) is it important for you to wish you could be friends with the characters in the book? This is a question I know the answer to for me. It’s not imperative — but my favorite books always end up being the ones I wish I could step inside, that I wish didn’t end, and the ones where I wish I could have coffee with the main character. That doesn’t mean the book has to be always happy or offer an HEA ending, it just means I have to like the main character and wish I could know her better. I also have loved some books where this isn’t the case, but when I think back on old and new favorites, that’s the prevalent theme. I’ll share some of my personal list in the comments. Below, you’ll learn Kathryn thoughts on the subject (a little different from my own), as well as about her new, compelling book, THE FAR END OF HAPPY, which was inspired by real-life events. Kathryn is a brave and talented author. And a real advocate for her author friends (I should know). 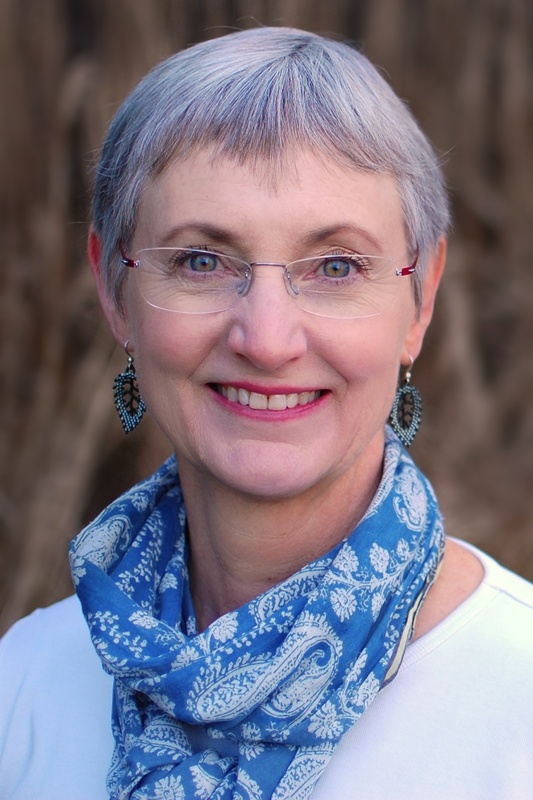 Please welcome Kathryn Craft to WFW—and share your thoughts and favorite women’s fiction books in the comments! Do You Seek Friends in Women’s Fiction? Since then I’ve concluded that whether or not I like a character has never been relevant to my enjoyment of her story. I do not read to make friends, I read to expand my perceptions of what it means to be human. Apparently that’s not true for everyone. A woman in my book club didn’t read our last pick, book club favorite Vanessa Diffenbaugh’s best-selling The Language of Flowers (which has a 4.5 star rating with over 3600 reviews on Amazon), simply because she’d heard the protagonist was weird. Come to think of it, our club members did agree we’d like to be friends with Jacqueline Winspear’s series character Maisie Dobbs, although her generally enjoyable story didn’t leave us with a lot to discuss. Readers might even all-out hate a character—I’ve heard that said about Amy in Gillian Flynn’s Gone Girl—yet still come away from her story with new insight. We all have good and evil impulses, and characters such as Amy can help us recognize them in ways that can make us feel uncomfortable. This is not a bad thing. What keeps any of us from becoming raving sociopaths? It’s a great book club question. 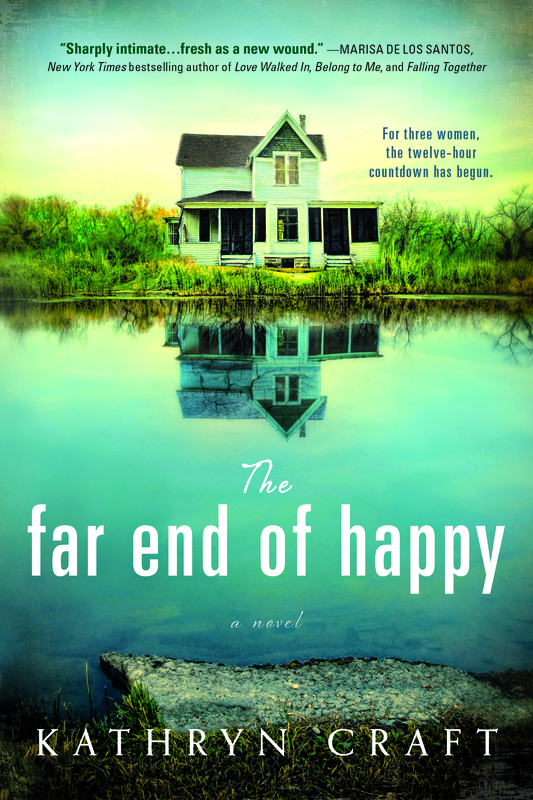 In The Far End of Happy, my novel based on true events releasing next week, my three point-of-view female characters must make unwelcome choices and face shameful secrets while enduring the twelve hours of a loved one’s suicide standoff. Such duress rarely inspires one to go out into the world to make friends, and when writing these characters, the question of their likability never once entered my mind. I sought to develop them with psychological consistency, and in a way that would put them in conflict over the issues raised in the story. Much more interesting than whether you liked these women would be the question of what you would do in their place. How might you sustain hope? Another great book club topic. My take on the issue of character likability is no doubt colored by my former long-time role as a dance critic. I’ve never felt that whether or not you love a work is the most interesting focus for discussion. The arts are subjective by nature. The very words you use to describe something will suggest whether you liked it or not because opinions cannot be avoided. I’m also not so sure that whether or not you liked a character is a measure of her worth. After all, we want our characters to do the thing we all fear the most—to change. We want to learn from their mistakes and grow wiser while we escape unscathed. Yet is any permanent change ever the result of a painless process? Not in my world. We readers must share in the protagonist’s humiliation, shame, and grief so that the power of story can work within our souls as well. That discomfort, in fact, keeps us reading—our desire to reach the resolution can become an almost physical need. So do I hope to make friends with the characters in the fiction I read? No. I care much more about whether I am moved to think about life in a new way. If I am, the literature achieved its goal. I think I’ll stick to making friends because of books—through the writing community, fellow readers I meet online, and those I get to know over wine and snacks at book club—where interaction with real people discussing a character’s difficult journey will expand my ways of thinking and make me feel more fully alive. What literary characters would you like to be friends with? Is character likability important to your sense of a book’s worth? Kathryn Craft is the author of two novels from Sourcebooks, The Art of Falling and The Far End of Happy. Her work as a freelance developmental editor at Writing-Partner.com follows a nineteen-year career as a dance critic. Long a leader in the southeastern Pennsylvania writing scene, Kathryn loves any event that brings together readers, writers, wine, and finger foods. She is a member of the Tall Poppy Writers. Contact Kathryn through her website, or she’d love to connect with you on Facebook or Twitter. I’m with Kathryn on this one – whether I like the characters or not makes not a bit of difference to my enjoyment of the story, maybe because I tend to read darker stories anyway I don’t tend to want to be friends with my characters (or step inside the book) What I do find difficult is when characters make stupid decisions to move the storyline along because it feels false, I’m looking forward to reading The Far End of Happy too. Thanks for a great post that made me think. Thanks for your comment, CleopatraLovesBooks. I too lean toward gritty reads and that definitely makes a difference. I agree, Kathryn. Your post makes me of the criticisms of Claire Messud’s The Woman Upstairs. I have read many reviews lately that mention whether or not the reader liked the characters in the novel, which baffles me. It’s not really a question of liking, but rather how well the story is written or if it moves me. Best of luck with your new novel. Karen, I read many articles of Messud commentary to prepare for the panel mentioned. Messud (who is lovely; with Alice McDermott she was one of my workshop leaders at Seeanee Writers’ Conference in 2002) states that she purposefully created an angry female character to make a point about what we find acceptable in our society from women vs men. Literature is used to such ends all the time–and she certainly inspired quite an extended debate. Mission accomplished! I’m chiming in here again! I do love books where I’d want to know the characters and sit down to coffee with them. THE WEDNESDAY SISTERS by Meg Waite Clayton comes to mind, as well as some of Jennifer Weiner’s books, Lori Nelson Spielman’s books, and WAKING UP JOY by Tina Ann Forkner. But, the more I thought about it, I realized that if I respect the main character that’s just as important, even if “being friends” wouldn’t be on my list. Chris Cleave’s LITTLE BEE is one of those books. I loved Little Bee! And protagonists in Spielman’s The Life List, Weiner’s Good in Bed, Nathan’s The Glass Wives (! )– so many. A cup of coffee maybe–some I’d like to interview further rather than think we’d be great friends. Often I’d just want to offer a shoulder, because let’s face it–our book sisters have been through some tough times. Wait–maybe no coffee with Weiner’s Cannie Shapiro or it would be coming out my nose. This is fascinating to me, mainly because in my day job of teaching teenagers,if they don’t like the main character of the book, they hate the book. It’s difficult for them to see beyond that, so I spend a lot of time trying to coax some different thinking. I want to feel something for the characters I read, but I don’t know that I necessarily want that to be friendship. I really like characters who have been misfits of a sort, who have a back story that give them depth. Yes Tasha I like the misfits comment–we know from our own teen years that it’s not cool to be friends with them. Outsiders give great perspective on our world and in YA those characters make readers feel less alone (case in point: all of A.S. King’s titles). I think relatability and emotionally engaging are characteristics more important for me than friendliness. I think you hit the nail on the head, Kathryn. It’s really about relatability – not likeability – can we relate to the character in some way, or learn something from her? Can we empathize and at least understand some of her decisions, even if we don’t agree with them? I WILL admit that I have read a few books recently where I DID find the characters so abrasive and truly unlikable that the books fell flat for me. But I sense it was much more than a lack of connection with the character or love for her. One book, I’m sure upon analysis, was more about the fact that the book took place over the course of several hours — and it just (for me) wasn’t enough time to engage/understand/connect with the character. Her ugly disposition just fed that dislike. The other was a genre I don’t often read, so I was already colored by a bit of apathy. So when the two main characters turned out to be despicable (and did NOT change or grow), the book fell flat, again. Hi Melissa! I totally agree that when a book’s main character fails to engage us, the story is probably failing on multiple levels. And one person’s “delightfully snarky” is another’s “passive-aggressive manipulator”—bonding is just as subjective between a reader and her books as it is between friends. And I think you’re right that genre can play into it as well, although last night I read a contest entry that blew me away in fantasy, which is not a genre I would typically pick up. An intriguing situation, a great complication, and a relatable character—supported by solid craft—should be able to engage readers across genres. I too prefer “darker” books, and I agree with the general sentiment expressed here about the likeability factor. In fact, books that offer only likeability never make good book club choices. Where do you go after you’ve said you like it? Usually to prolonged discussions of personal issues rather than to a true discussion of the book itself. All that said, I have to admit my favorite book in the entire world for ever and ever is Pride and Prejudice. I don’t just like Elizabeth Bennet, I love her. And I’d like to be Jane Austen’s best friend. However, that doesn’t keep me from admiring Austen’s irony, satire, structure, voice, etc. I guess my left and right brain are each reading a different version of the novel! Haha loved this, Christina! If I could interrupt your teacup-clinking with Elizabeth Bennet for just a moment, I’ll put forth what one of my fellow panelists said: that if the book is about a likable female character, she is almost always a victim. That really made me think! So far I’ve my own protagonists are not entirely innocent. They may have contributed to the circumstances that resulted in their victimhood, yet determine to rise above the label of victim. So that might be a fun topic to debate. Kathryn, this is a great post, and I read it at a time when I’ve been thinking seriously about this issue. I’ve just finished reading several novels (all British, as it happens) with unreliable narrators, or main characters who I would never be friends with, yet I loved them because of the unique voices and unusual insights I was left with after following these women around. I think fiction is far more interesting when it takes us outside our comfort zones. Thanks for this “other side of the pond” input, Holly. Starting my writing career with a debut featuring an unreliable narrator may not have been the easiest road to take, and the reason I gave her body image problems was to illustrate how such issues can implode relationships. This made Penelope Sparrow hard to like at times, for sure, and I’m pretty sure it qualified her first friends outside the dance world, Marty Kandelbaum and Angela Reed, for sainthood. (And yes, this is her creator saying this!) But most readers who hung in there with her till the end found her to be an admirable character. A few of my favorite not-so-likeable female characters: Scarlett O’Hara in Gone with the Wind, Catherine Land in A Reliable Wife, and Minny Jackson in The Help. I wouldn’t want to spend a lot of time with any of them (except Minny), but I recognize they are strong women, determined to accomplish certain goals, and I enjoy examining their motivations and vulnerabilities. And I love each of the books they appear in. I gravitate toward unlikeable or unfathomable characters to both read and write. Usually, in my first draft, they can be downright grating, but I find ways to bring humanity in…but not so much that I flatten them out and make them bland just to be acceptable. I use “unfathomable” specifically because one of my favorite things is to take a character with seemingly inexplicable behavior, and get the reader to understand — if not agree with — that behavior by the end. Yes, characters make wrong choices. If they did everything right the book would be over in 50 pages…or it wouldn’t start at all. Ooh, “unfathomable”—great word, and one that will keep the hooked reader digging for answers! And I appreciate your approach to woo the reader to new perspective, Kristina, as I enjoy doing that as well. And I MUST read Olive Kitteridge as too many people keep mentioning it in a variety of contexts! Sounds like my kind of book. “So do I hope to make friends with the characters in the fiction I read? No. I care much more about whether I am moved to think about life in a new way. If I am, the literature achieved its goal.” This, exactly. An excellent essay, Kathryn! But for those of us who write women’s fiction, what do our readers expect? A different question . . ..
Julie, the genre question—what do WF readers want?—interests me. The bull’s eye for the WF target is as big as the whole wide world and beyond—any story in which a woman plays a featured role. Don’t think a one-size-fits-all answer is going to appear! Great examples. I wouldn’t trust a one-size-fits-all answer if it was handed to me with a slice of warm cherry pie 🙂 More of a rhetorical question that I think we consider privately, facing the blank screen/page, and with our agents/editors when we look deeply into our characters’ and our own hearts. I have to consider how much time I want to spend writing an “unlikable” protagonist. As I reader, I can close the book and walk away. As a writer, I’ll be living with this character/these characters through months and years of writing and revising. I’ve played around in short stories, experimenting with how far I can push myself into an darker, troubled heart. Such good stuff. GAH. I love talking about this!! Kathryn, to my mind, asking if you have to like the main character to enjoy a story is like asking someone if they would rather read sci-fi or romance. It’s a matter of taste as far as I can tell and to each his own. I recently finished reading two books that in no way left me feeling I wanted to be BFFs with the main characters, but for me, they were page turners, alternately bizarre and intriguing, and I was in the story—You by Caroline Kepnes and The Good Girl by Mary Kubica. Loved them both, but I can totally see how they wouldn’t appeal to every reader. The characters in Mary Kubica’s novel had redeeming qualities. The ones in Caroline Kepnes novel had none, zero, zip, zilch, nada, but I found it intriguing just the same. Yes, Mary’s character is an interesting case in point, and for those who haven’t yet read the book, I won’t say one more word about that! Suffice to say that we women can be hard to know. 😉 I don’t know the other book—will have to check it out! Beth I am a huge fan of collecting books I don’t currently have time to read, and waiting for their titles to call to me. It always works! Thanks for your comment! Thank you for this timely post- I’ve recently discussed this very topic at length with both my critique partner and some book club friends. Kathryn, I couldn’t agree more with your take on the subject. When I read women’s fiction, I don’t need to like the characters. What I do need is for them to be well-drawn, developed, alive. Once they breathe, I’m involved. When they annoy me–through inaction, or foolishness, or selfishness, perhaps–I try to remind myself that we all have aspects of ourselves that maybe aren’t as “good” as we’d like them to be, but we can grow and change. That’s my starting point. Then I usually end up rooting for her. I’ve come to wonder if somehow an author has shown extra skill in crafting a character who is just a little too annoying/flawed to be truly lovable, while at the same time not so irredeemable that I wish her ill, and, in fact, always wanted her to get what she wanted, always felt her deserving of contentment and love. (Just how, in real life, we might find someone bothersome but still not want to see her suffer.) I’m not sure that, as authors, we should be trying to introduce readers to characters they want to befriend; maybe it’s enough to introduce them to characters they should meet, period. But your conclusion is so well worded I’d love to slap it on my post: “I’m not sure that, as authors, we should be trying to introduce readers to characters they want to befriend; maybe it’s enough to introduce them to characters they should meet, period.” Great comment! I don’t have to be friends with the protagonists either. I just need to be intrigued! BTW, I loved Diffenbauah’s The Language of Flowers. Me too, Zan! I think one of the ways we grow through reading is the opportunity to crawl inside the perspective of someone unlike us. For that reason I was most happy to spend time with Victoria Jones. Lia, please email womensfictionwriters@gmail.com if you’d like to pitch a guest post for the blog. Since isn’t a comment on Kathryn’s post, I’ll be removing it. I love interesting characters, and I think I could be friends with the woman in the Language of FLowers. but for the most part, I have to feel that positive about the protagonist. IT is hard for me to be objective when I’m reading. I try, but if I don’t get drawn right in in a fairly positive way, I don’t want to be there. That’s why I like my book club. They push me to read books I normally wouldn’t wade through, and then often change my mind (a bit) about them in the discussion. Another question would be: Do you have to like the protagonist in the book you are writing? For me that would be yes. But would the woman in Language of Flowers want to be friends with you? That answer might bring us closer to the reasons for her perceived unlikability. And I love my book club for the same reason! As for my writing, though, I did spend eight years with Penelope Sparrow, who (especially at the start of the book) may have been too high-maintenance a friend for me. But I get her, and I loved her, and was so proud of her story arc that it still moves me. So I guess my answer on that isn’t as easy as yours.